Hyundai Motor Company has recently launched construction of a new testing facility at the famed Nürburgring race course in Germany – showing the Korean automaker’s commitment to driving dynamics while also showing that they are serious about competing with the best cars on the market today. There was once a time where Hyundai vehicles were nothing more than low cost, high efficiency models that offered little in the way of driving excitement but that has changed a great deal over the past decade. 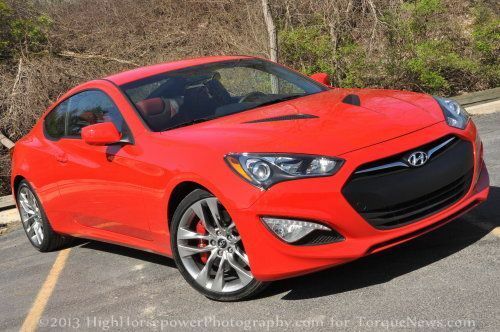 Vehicles like the Genesis Coupe and Genesis Sedan, the range topping Equus and the funky little Veloster Turbo have shown that Hyundai is about more than just affordability and fuel economy but the Korean automaker has put a great deal of effort in past years in ensuring that even their non-sport/performance models are also just as engaging to drive as those designed with high performance in mind. To help further their efforts in making their vehicles handle with the best that the global market has to offer – Hyundai has begun building a 10,000 square foot test facility at the famed Nürburgring Motorsports Complex in Germany. This new Hyundai testing facility will reportedly cost Hyundai around $7.3 million US dollars at the current conversion rate and construction has already begun. Once completed, the information gathered at the Nürburgring testing facility will be reported back to the company’s existing Research and Development Center in Rüsselsheim, Germany. This will allow Hyundai to develop suspension and braking systems on the same surface as the world’s highest performance sports cars so the handling capabilities – both in terms of performance and ride quality – should benefit greatly from the company’s new access to one of the most difficult courses in the world. For those who are somehow unfamiliar with the Nürburgring, it is a massive motorsports complex in Nürburg Germany with a variety of race tracks on the property – with the most well known being the infamous Nürburgring Nordschleife. The Nordschleife (German for North Loop) is a 12.9 mile road course that includes 154 turns and some of the longest and highest speed straights that you’ll find on a race track anywhere in the world. Due to the intricacy and the varying types of turns, this portion of the Nürburgring course has become the ultimate benchmark for testing a vehicle’s performance capabilities while also serving as one of the main test grounds to help automakers set up a vehicle’s driving dynamics in a way that will allow it to perform well in just about any on-road environment. In short – if a car can get around “the Ring” in a hurry – it can get around any race course or roadway in the world just as easily. You will have a hard time finding a performance model offered by any automaker around the world that hasn’t spent at least a little time on “the Ring” during the preproduction stages while also heading back to Germany to show the performance capabilities of the full production version. Years ago, German models frequently were tested and retested both before and after these vehicles reached the consumer but over the past few years, we have seen everything from the SRT Viper and Chevrolet Corvette to the Jeep Grand Cherokee and the Cadillac ATS spend time testing prior to meeting production. For Hyundai, being able to readily test their upcoming models prior to production will allow them to not just improve the handling and ride quality of their non-performance models such as the Elantra, Sonata and others – but it should also have a substantially positive impact on the performance characteristics of models like the Genesis Coupe, the Genesis Sedan, the Veloster and the high end Equus. Hyundai quietly engages to add another arrow to their quiver by extending their vehicle qualities _build -content-styling_ too include elevated vehicle dynamics. Will be interesting too see how this evolves and where this will go. Given their meritorious record, BMW and Mazda should take note.